Deep Jandu releases his brand new single “Nishana” featuring DJ Surinder Rattan, J Hind & Shaxe! 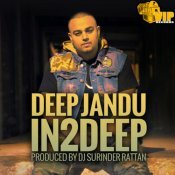 Taken from Deep Jandu’s brand new album “In 2 Deep” out now!! ARE YOU Shaxe? Contact us to get a featured artist profile page.